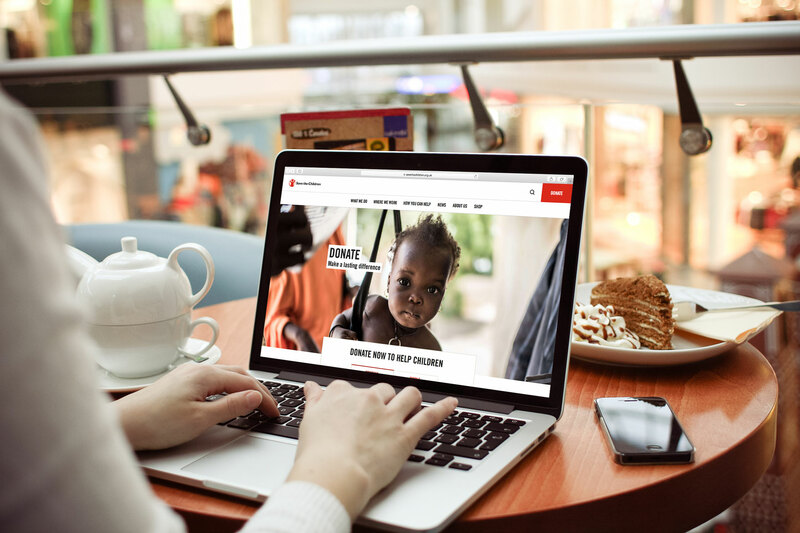 If you work for a charity, chances are you’ll be asking for online donations. 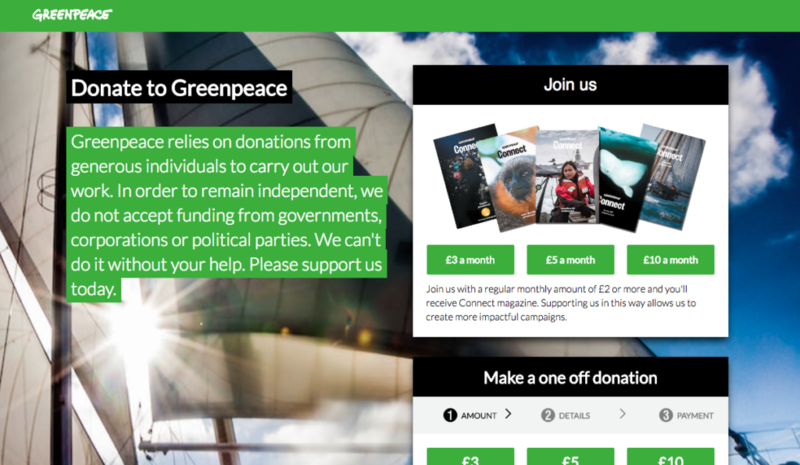 Digital fundraising is big business, but it isn’t easy. Fortunately there are ways to make it easier – by following these 12 simple principles. Donating is not a passive process – as emotional beings we need to be warmed up, emotionally engaged and handheld through the entire experience. 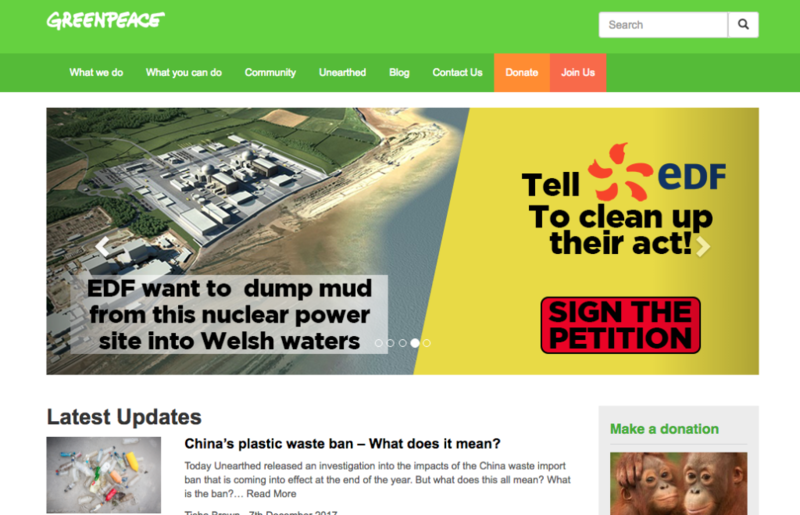 A button on a website – no matter how big and colourful – doesn’t do this. By contrast, people getting your emails are already warm to your organisation and have a reason to give, because they’ve read something great and they’re feeling good about you. 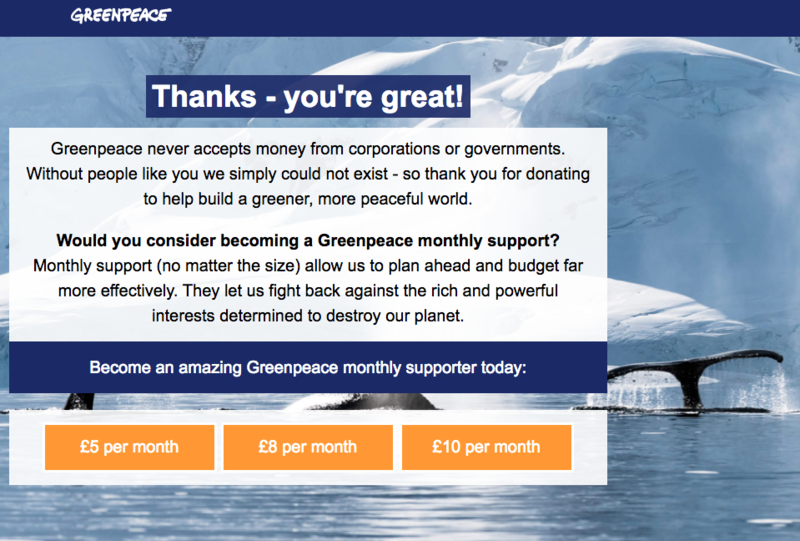 So, don’t worry about your donate button too much; instead focus on how you collect email addresses and your fundraising email strategy. Email gives you the chance to strike up a deeper, ongoing relationship with prospective donors. Note: GDPR (General Data Protection Regulation) has big implications for how charities capture and store data online. And the way you obtain consent will affect the quantity and quality of new sign ups. So be prepared to test a range of GDPR-compliant opt-ins to collect as many good email addresses as possible. People need to have faith in the payment gateway they’re using – so place a secure logo on every page, and make it highly visible, above the fold ideally. 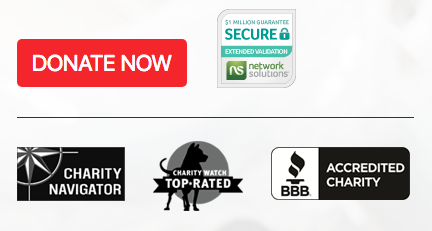 You might also include third-party “trust seals” as visual endorsements of your website’s overall dependability. Note: Often, charity sites use 3rd-party payment gateways, sending people off-site to complete the transaction. But this can set alarms bells ringing for cautious donors, so try to keep everything on your website. If that’s not realistic, make the transition away from your site as seamless as possible. The act of donating can feel abstract. You can change this by connecting gift amounts to tangible results. This makes giving real and fulfilling, and can encourage donors to pledge more than they otherwise would. Transparency builds trust, something that every prospective donor needs to feel. 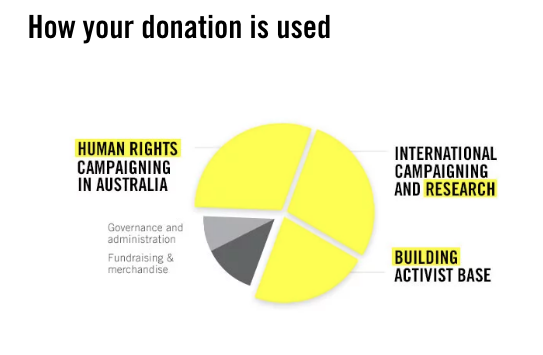 Be open about where the money goes by creating a graphic that shows what proportion of each pound goes directly to your campaigns and projects. 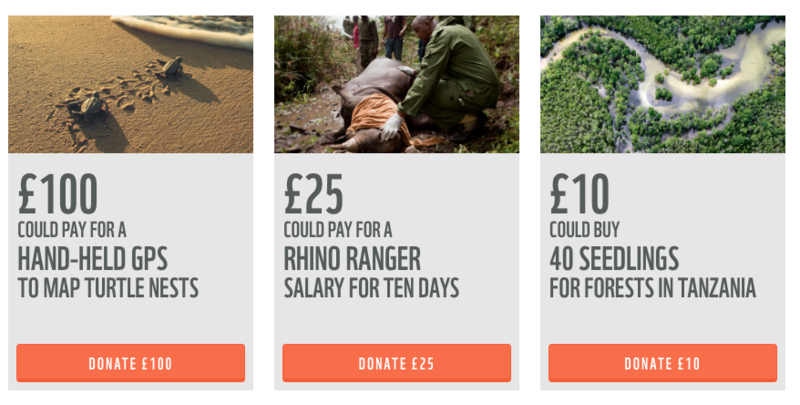 Humans are lazy creatures, so make donating easy. The smoother the process the more likely you are to get a successful conversion. Try removing redundant form fields. 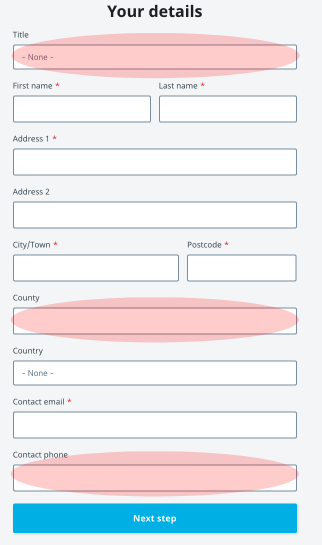 Be ruthless: for example, this WaterAid form could leave out title, county and phone number since the data is not mandatory. You might also remove unnecessary ‘page furniture’, like a sidebar or navigation, that distracts or directs your donors elsewhere. Social credit is a powerful way to show how a project is worthy of further investment. People are more likely to participate in something that’s already deemed successful by others! Forms are fiddly. So it’s likely donors will fail to complete a field correctly. This is why error messages are so important – they should be friendly in tone, quick to appear and make it obvious where the error lies and what needs to be done to correct it. We all want an easy life. Research shows the majority of people go with the default in an array of options, so this is a powerful way to nudge donors towards the gift that’s right for them, and for you. Do I become a member? Do I give regularly or once only? Should I run a half-marathon? Should I sign up to payroll giving? Options make it difficult for donors to decide how to support you. 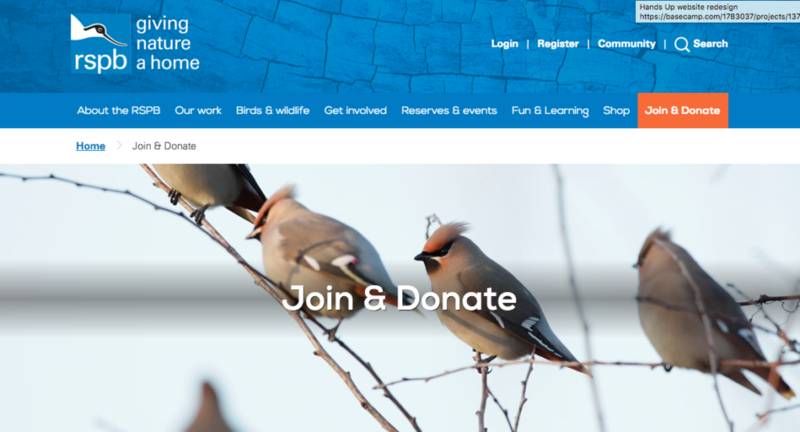 The RSPB website gives me a tricky choice. Should I join, donate or both? Which is best for me, and for the RSPB? By contrast, the Lullaby Trust clearly signposts how they’d like me to support them, with other options visible yet less obvious. 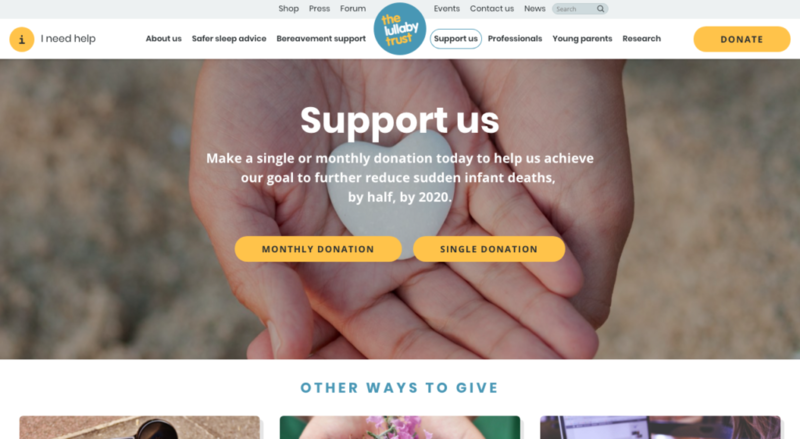 It’s difficult for charities with plenty of fundraising ‘products’ to prioritise among them, but if you must offer a range of giving choices, present them in a clear visual hierarchy – don’t make donors think too hard! Mobile is big, and getting bigger. Mobile web usage has overtaken desktop and continues to grow, so it’s crucial you offer a smooth mobile experience. The golden rule? Go large: oversized text, buttons and form fields make things less fussy and fiddly for fastmoving fingers. And run a page speed test to make sure it loads like lightning even on slow network connections. 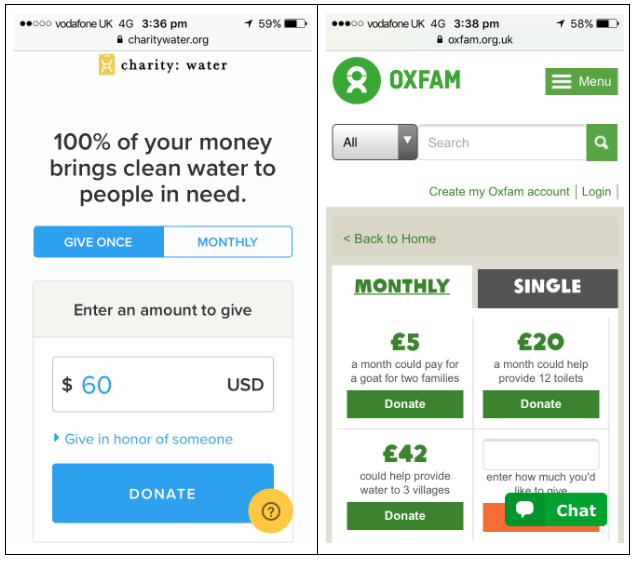 Compare the clean interface of Charity:Water with the fussy layout of Oxfam UK – which would you choose? Supporters are warmest when they’ve just donated – so make sure you thank them, they’ve just done a wonderful thing! Then use this opportunity to reinforce that feelgood factor, including ‘softer’ asks such as liking your charity on social media, or signing up to receive emails. The ‘thank you moment’ is the perfect place to cross-promote other important parts of the organisation – so don’t waste it. 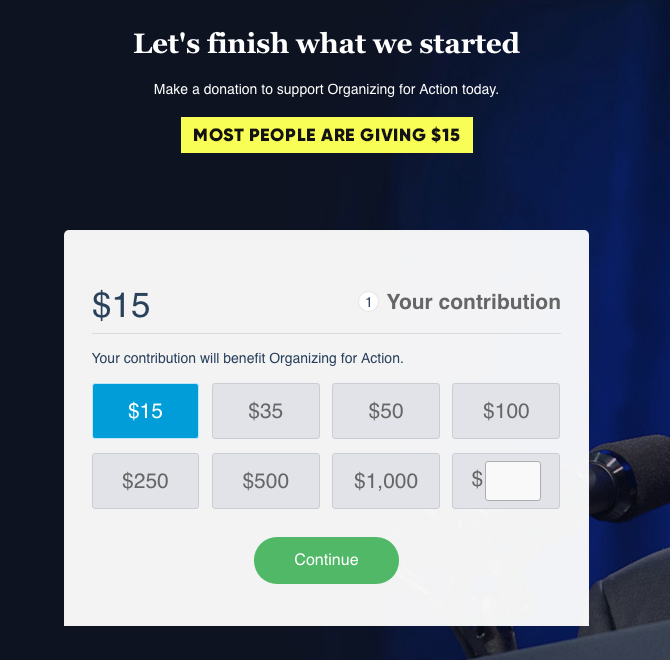 It’s all very well following best-practice principles, but there’s nothing better than A/B testing (using Optimizely or similar) to get hard data on your donate page performance. However it did find that a one-page form outperformed a two-page form, and that ‘trust seals’ increased conversion rates significantly. But don’t take their word for it… test your form!